Emmanuel Nim is a prolific artist whose portraiture echoes his love for the human figure and deep concerns for Mother Nature. He is also known for his portraits, human figurative and landscape paintings that usually carries a message that humans are the stewards of mother earth. It’s their ultimate obligation to protect the environment and conserve the nature; and that one cannot survive without the other. For his figurative art, Emmanuel Nim explores challenging theme’s affecting women described as powerful, emotive and passionate. One mutual desire of Nim’s work of art is the human form that unites the tranquil and transcendent portraits to idiosyncratic and surprising life studies. Each paintings offers each own unique style of capturing the human body for the viewer’s discovery. Emmanuel Nim’s strives to create the effect of illusion with realistic representation of the images that seem to extend the impression of social reality. For Nim, the use of the figures was central to his engagement of figurative expressive style. Giving importance to the structure, shape, volume and perspective defined through the chosen colour, tone, light and shade. Nim’s work spans oils, acrylics, watercolour, ink and charcoal. Emmanuel Nim is a self-taught artist who was born and raised in Polomolok, South Cotabato. He developed an interest in art and a taste for figures and landscapes at a young age. 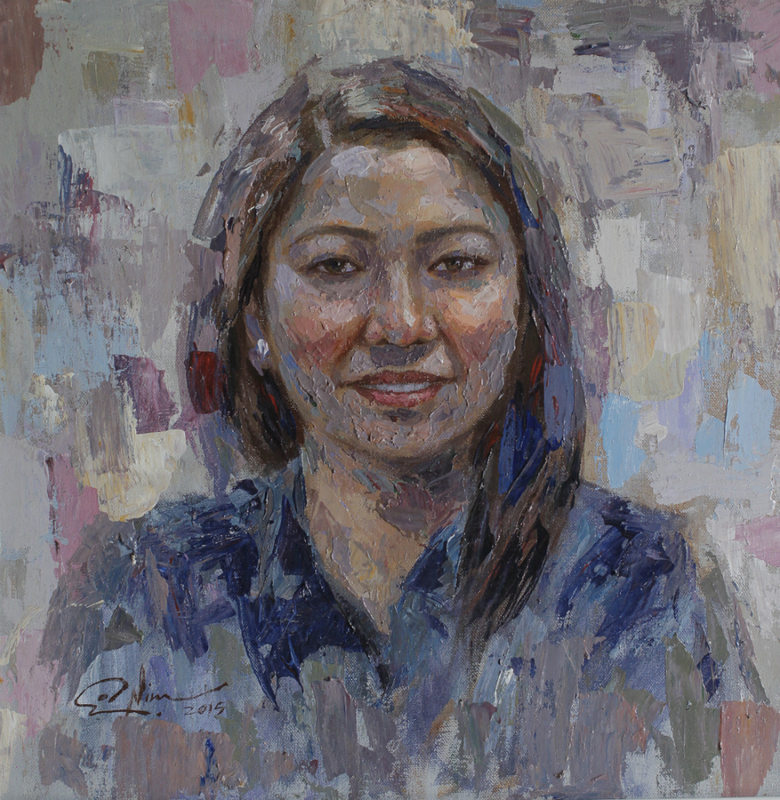 With the inspirations and guides from the works of the old masters like Juan Luna, Amorsolo, Caravaggio, Velasquez, Constable, Salvador Dali, Picasso, Sargeant, Michelangelo and Da Vinci who later moved in Manila after he graduated high school and has now worked as a full-time visual artist since then. Emmanuel Nim is a third generation Mabini Artist who started at Mabini but then developed his own style, but still remembering his Mabini roots. Mabini Art is a genre in Philippine painting that developed in the 1950’s. Back then, having an art degree became the standard to be called a legitimate artist. So, the self-taught Mabini artists formed Mabini Art Movement to be identified in a distinct niche in Philippine art. Emmanuel Nim was also featured at “DIFFERENT STROKES,” a book on the ingenuity of Filipino artists and Art exhibit for a cause, featuring the works of contemporary masters, emerging artists & art groups.